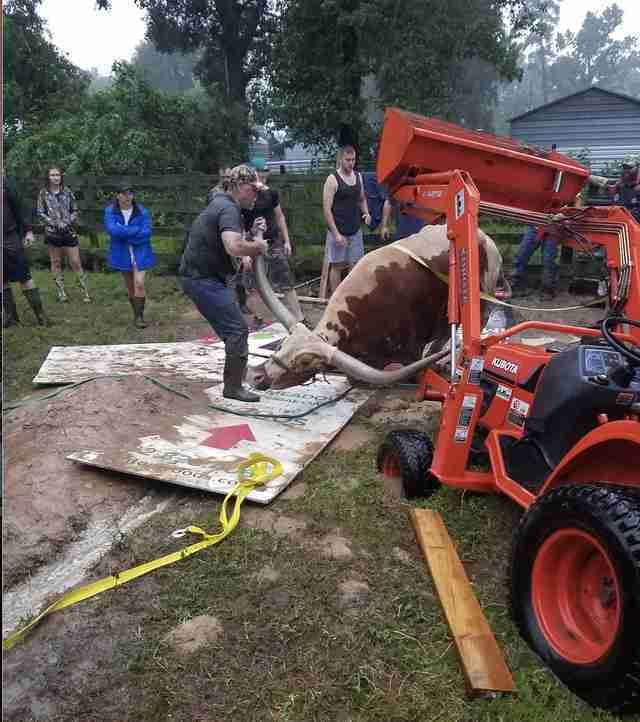 When Hurricane Harvey unleashed days of rain in Houston, Texas, last week, this giant steer got stuck in the mud, and an entire community came to help. 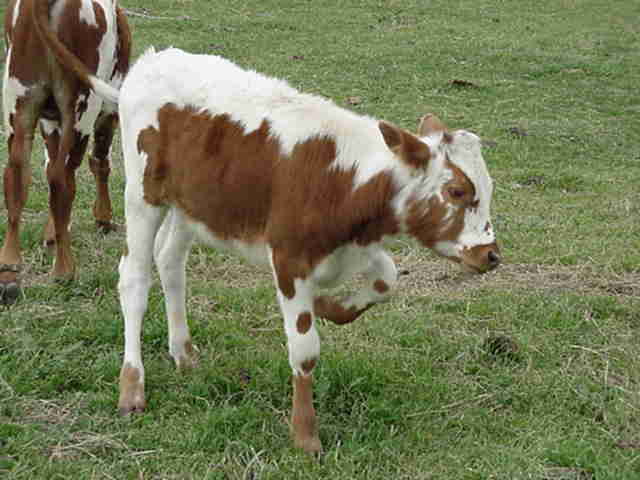 “His owners have had him since he was a calf. He's very much loved by them, and everyone in the community. He’s a gentle giant,” Amanda Sheridan, who lives in the area, told The Dodo. 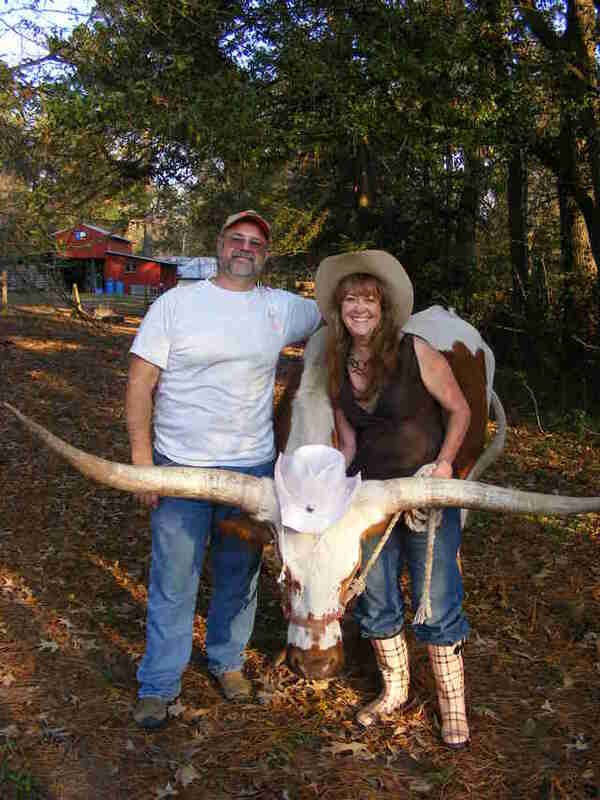 Sheridan saw the post, and quickly grabbed her kids and her husband, who just happens to be a big Longhorns fan, and told them, “Come on! 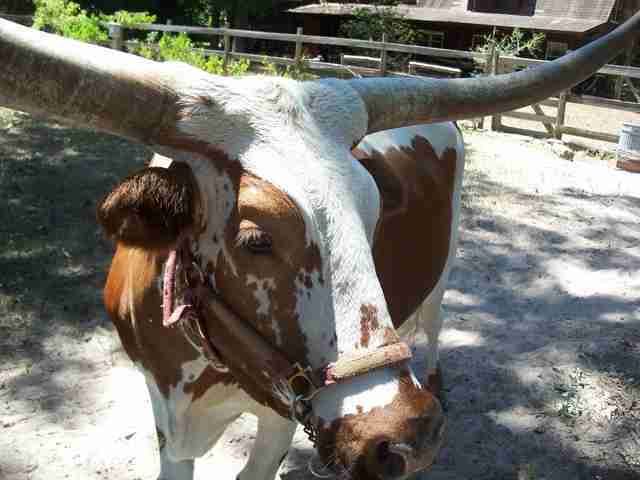 We are going to help rescue Samson,” said Sheridan. The Facebook post didn’t just reach Sheridan, however. 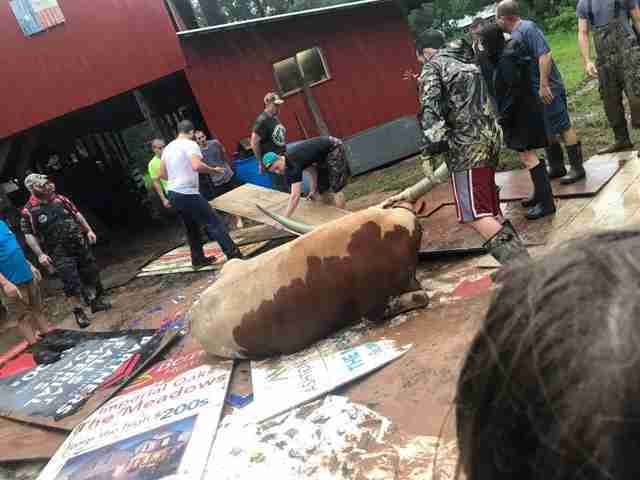 It reached nearly two dozen people who threw on their boots and raincoats, and rushed over to help the massive animal. Like Christopher Miller. 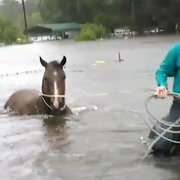 He was staying with his friend in the Rayford Road area after evacuating his own home because of the storm. 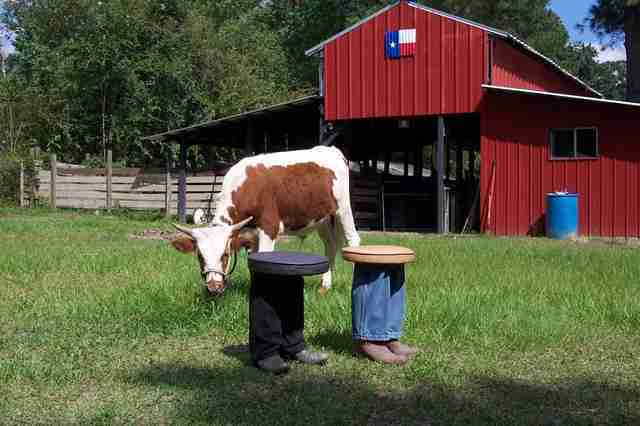 Miller told The Dodo that his friend yelled out: "Y'all want to go get a cow out of the mud?" “No one hesitated,” Miller said. 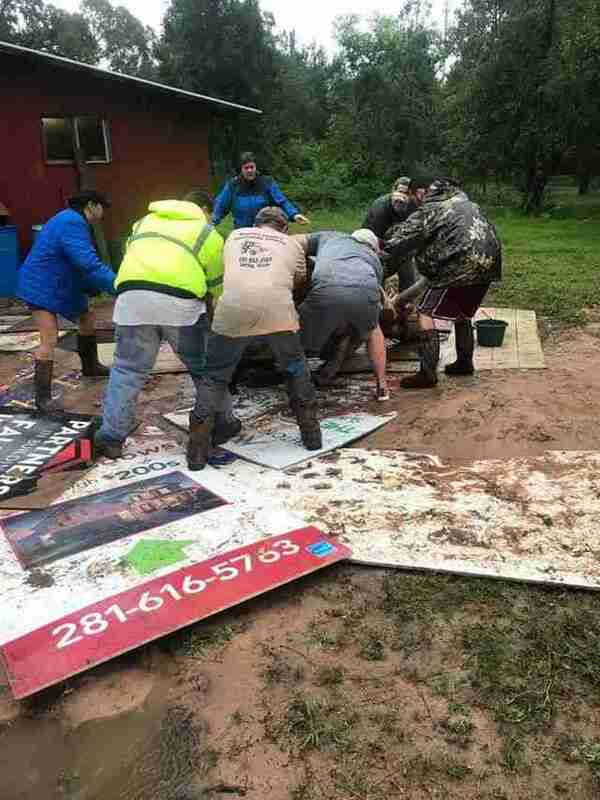 “Everyone got up and immediately grabbed shovels and we hopped in the car.” He said fate, not just floodwaters, must have brought him to help Samson that day. The Tann’s were thrilled with all the help. “All of a sudden I looked up and saw more than 20 people I never saw in my life wanting to help,” said Kenneth Tann. 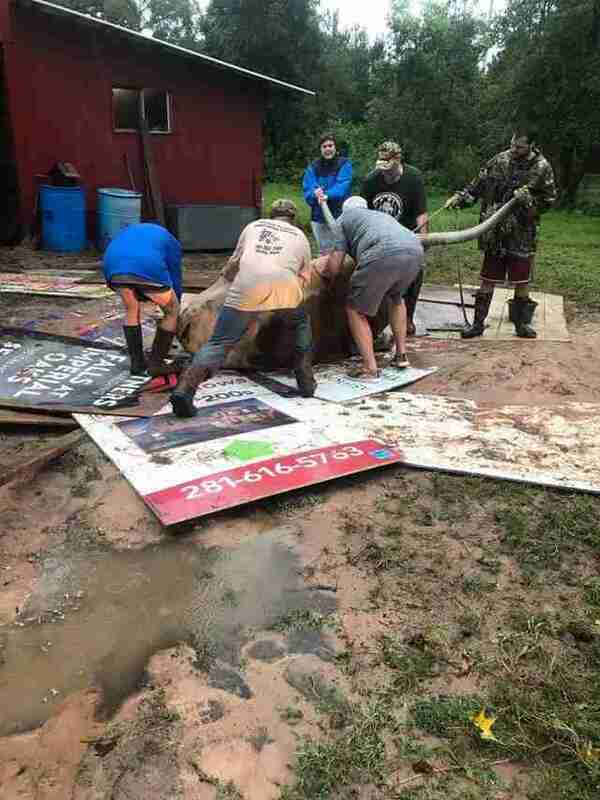 First, the all-volunteer crew put boards down so Samson had a landing spot when he got out of the mud. 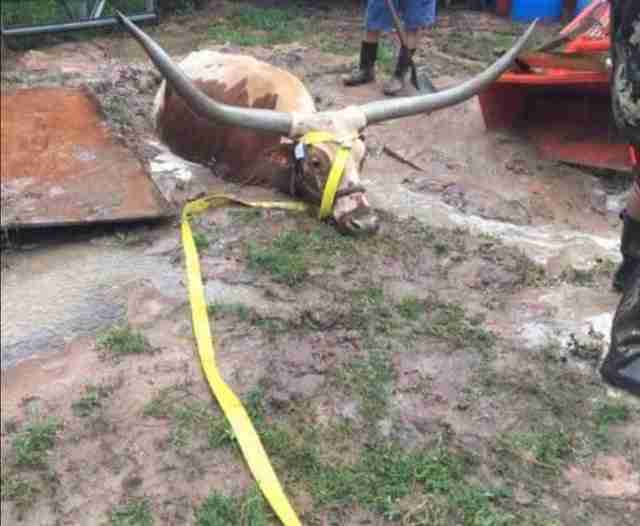 Then, they put straps around the longhorn’s body and tried pulling him out with a tractor. But the tractor got stuck. The volunteers began to worry. Samson looked like he was going into shock, according to Sheridan. 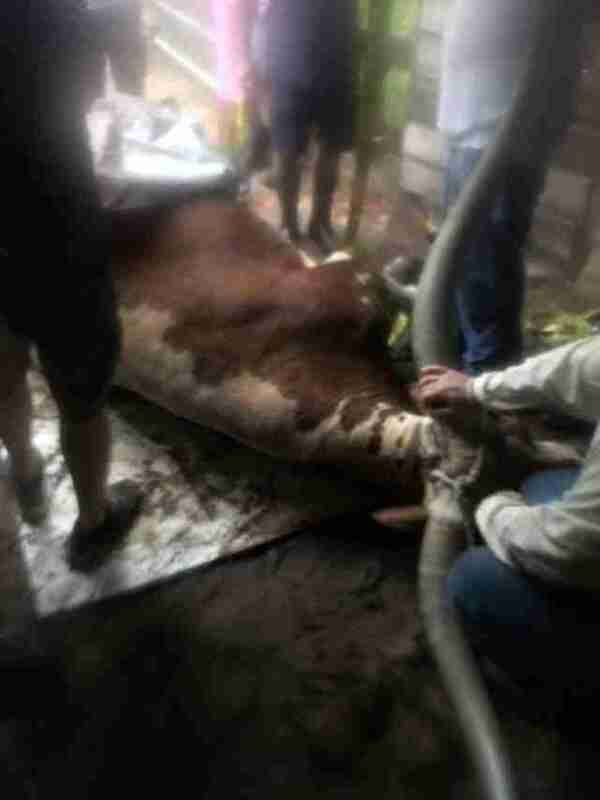 So, rescuers hooked the straps to an SUV, and started trying to pull out Samson themselves. “Next thing I know a good bunch of us were working on a Jeep, just using good, old-fashioned manpower,” said Miller. 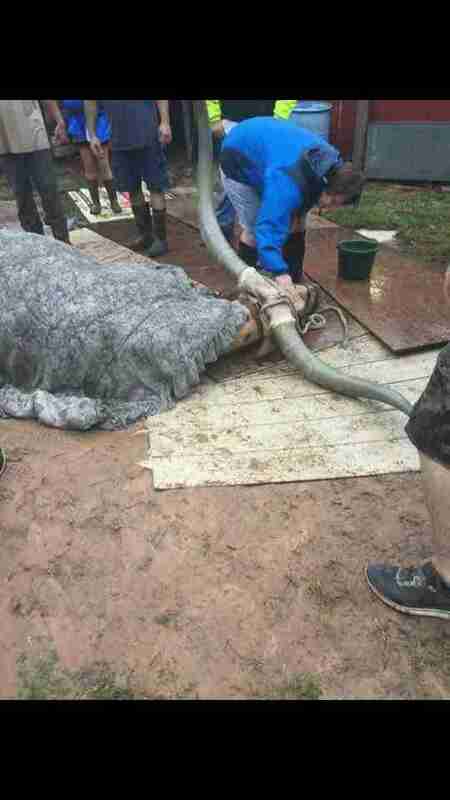 They managed to hoist Samson out of the mud and onto the boards. Unfortunately, the celebration was short lived. Samson was in bad shape. “He didn't want to move. His eyes were rolling in the back of his head. We didn't think he was going to make it,” said Sheridan. 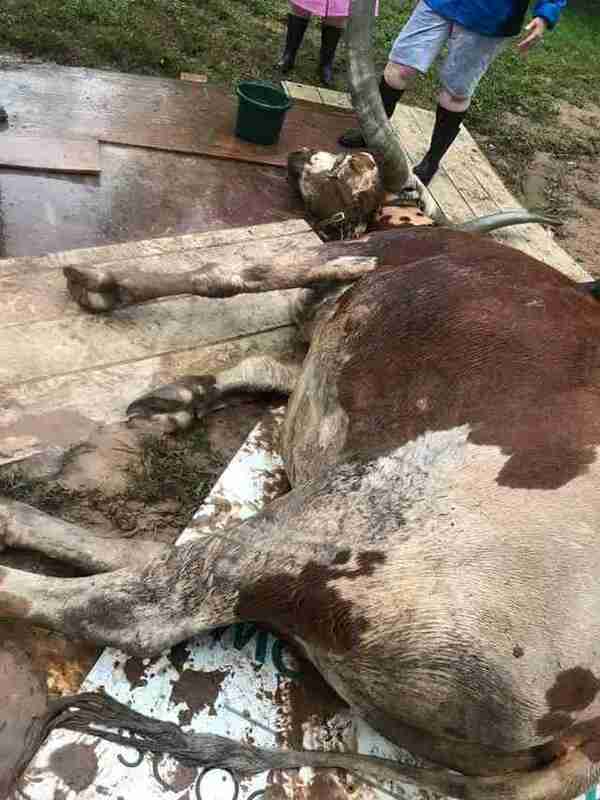 Rescuers sent out new pleas, begging for a veterinarian. People came with blankets and a tarp. 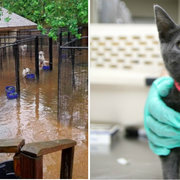 For more information on how to help animals affected by Hurricane Harvey, even if you don't live in Texas, check out The Dodo's coverage here.